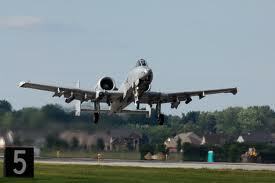 Selfridge Air National Guard Base (SANG) is one of the oldest military air fields in the United States. It is located in the Township of Harrison, County of Macomb and is situated on prime Lake St. Clair property. Approximately 6000 air and army national guard, as well as civilian employees, are employed and/or housed at the SANG base. There are numerous units assigned to SANG including the 127th Wing (Michigan Air National Guard), customs and border protection and the Coast Guard. There are many SANG military personnel who are married, live on or off base, and are residents of a state other than Michigan. Our attorneys have represented SANG military personnel for numerous legal matters including drinking offenses (drinking and driving), domestic violence, assault crimes, drug crimes and retail fraud (shoplifting). Anyone in the military who is charged with a criminal offense faces special circumstances which we are prepared to defend. We understand that when a military person (reserved or enlisted) gets into trouble, he or she faces possible rank demotion, loss of security clearance and/or dishonorable discharge from military service upon conviction for a criminal offense. When a military person becomes a client of our firm, we are aware of their special needs and potential consequences. Certain convictions may be detrimental to a military career. There are other ramifications such as travel restrictions and possible incarceration. When a drinking a driving (DUI or OWI) is charged, the issue may be less compelling and only involve the driver license sanctions for a non-resident. Our job is to identify the needs of our military clients and address these particular needs and concerns. For example, a recent client who was charged with domestic violence needed permission to travel out of the state and the country. The case was resolved favorably whereby the case will be deferred and dismissed after a period of probation. The Judge also granted permission for our client to travel out of state and out of the county. Our goal is always to avoid a conviction or seek a result that will not jeopardize our client’s future with the military. Our results include cases which are dismissed, reduced or dismissed after a period of advisement. Unfortunately, drinking and driving cases are rarely dismissed outright. However, we are usually able to have the charges reduced, avoid jail and obtain permission to travel upon transfer or deployment. Our firm approaches criminal cases involving military personnel quietly, discreetly and with diplomacy. Fortunately, I have found the prosecutor’s, law enforcement and the courts in Macomb County to be sensitive to those that are serving their country.